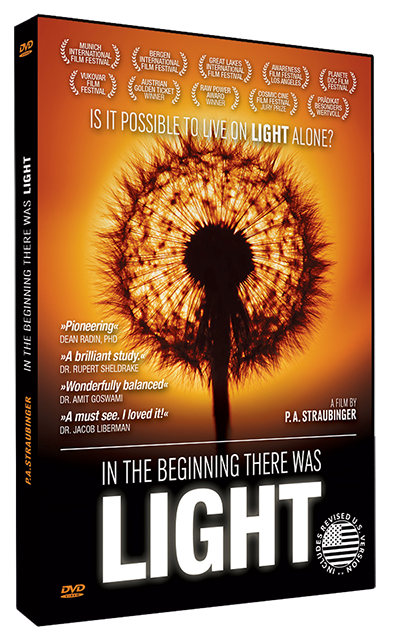 IN THE BEGINNING THERE WAS LIGHT - IS IT POSSIBLE TO LIVE ON LIGHT ALONE? "IN THE BEGINNING THERE WAS LIGHT" - Revised U.S. Version with English narration and English english voice-over from LIGHTDOCUMENTARY.COM on Vimeo. ​IS IT POSSIBLE TO LIVE ON LIGHT ALONE ? There seems to be evidence that there are people living today and some existing thousands of years back too, who do not need food either to live or to sustain their metabolism. Are we confronted with quackery or with forgotten knowledge? 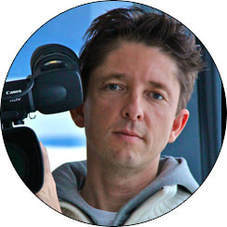 Austrian Director and Filmmaker P.A. Straubinger conducted ten years of worldwide research on the controversial topic of Breatharianism a.k.a Living on Light. Is it possible to live on light alone? Director P.A. Straubingers answers this complex and highly controversial question. Thriving without eating and drinking? This documentary investigates the mysterious phenomenon of "Breatharianism". Director P.A. Straubinger addresses the controversial arguments and reactions to his film. Scientists found that human bodies can produce much more energy than they consume calorically. Does this explain Breatharianism? How could it possibly work to thrive without eating ? Scientists recently discovered processes involving body water that might explain the phenomenon of Breatharianism. Tragic cases of death related to Breatharianism are a fact. However, allegations that "Light" is responsible for the death of a Swiss woman turn out to be a hoax. Breatharians are found in all cultures throughout all ages and they always have been challenged and scrutinized by skeptics. Often enough they were found to be true. Some Breatharians openly admit that they have a certain calorie intake. Others, like Hira Ratan Manek, were caught eating. What does this mean for the authenticity of the phenomenon? If you are inspired by "IN THE BEGINNING THERE WAS LIGHT” and its message or by the articles on this site please share the information with your community via your own website, blog, Facebook, Twitter etc..! Stay informed on the latest Light Documentary news, events, and information. This research is ongoing and new insights may come forth at anytime.